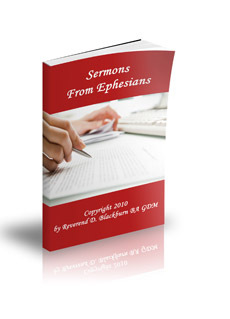 Sermons From Ephesians are a collection of succinct sermons from the book of Ephesians. These sermons will give you valuable information in order to help you write sermons for your congregation. Sermons From Ephesians are brief outlines of sermons from the book of Ephesians and the information provided is helpful for writing sermons. Sometimes when you read other sermons, it gives you ideas to write your own sermons. I often read other sermons just to see how they develop the main preaching point and how they structured the sermon. Realizing the importance of prayer is a sermon from Ephesians 3:14-21. Howard Taylor said this of his famous father, Hudson Taylor. "For forty years the sun never rose on China that God didn't find my dad on his knees. Prayer was an important part of Hudson Taylor's life and ministry. 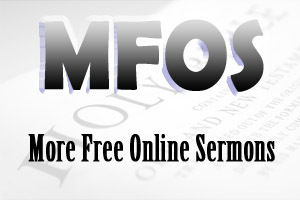 Read more by clicking on How To Preach A Sermon 2. Walking together with Jesus is a sermon from Ephesians 4:1-6. There is something speical about the people of God walking together with God and each other. Yes, Christians do argue and fight. However, the mandate is not arguing and fighting, it is walking together with Jesus. Read more by clicking on How To Preach A Sermon From Ephesians 4:1-6. Working together for the Kingdom of God is a sermon from Ephesians 4:25-32. When we become Christians, god makes a difference to our lives. Those differences or quealities should reflect in the way we live and experience life. These godly qualities help us to work together for the Kingdom of God. Read more by clicking on How To Preach A Sermon. Reflecting godly qualities in our Chrisian walk is a sermon from Ephesians 5:1-7. We are new creatures in Christ, old things have passed away, behold all things have become new. What a wonderful change takes place in our lives when we become Christians. These changes usually affect the way we live and walk as Chrisitans. Read more by clicking on How To Preach A Sermon From Ephesians 5:1-7. Walking wisely in the Lord Jesus Christ is a sermon from Ephesians 5:15-21. If you were granted one wish, what would you wish for? One man in the Bible was granted one wish. "Ask! What shall I give you?" (1 Kings 3:5). Solomon could have asked for wealth, health or victory over his enemies; instead, he asked for wisdom. Read more by clicking on How To Preach A Sermon From Ephesians 5:15-21. Submitting to one another is a sermon from Ephesians 5:22-6:9. Jesus said, "...not as I will, but as you will (Matthew 26:39b). In those words of Jesus, we get a glimpse of what submission means. An interesting aspect of submission is that no one came make you submit. Submission is a voluntary response. Read more by clicking on How To Preach A Sermon From Ephesians 5:22-6:9.